Playskool BB-8 Adventure Base Just $36.99! Down From $80! PLUS FREE Shipping! You are here: Home / Great Deals / Amazon Deals / Playskool BB-8 Adventure Base Just $36.99! Down From $80! PLUS FREE Shipping! At Amazon, you can score this Playskool BB-9 Adventure Base for just $36.99 down from $79.99 PLUS FREE shipping! 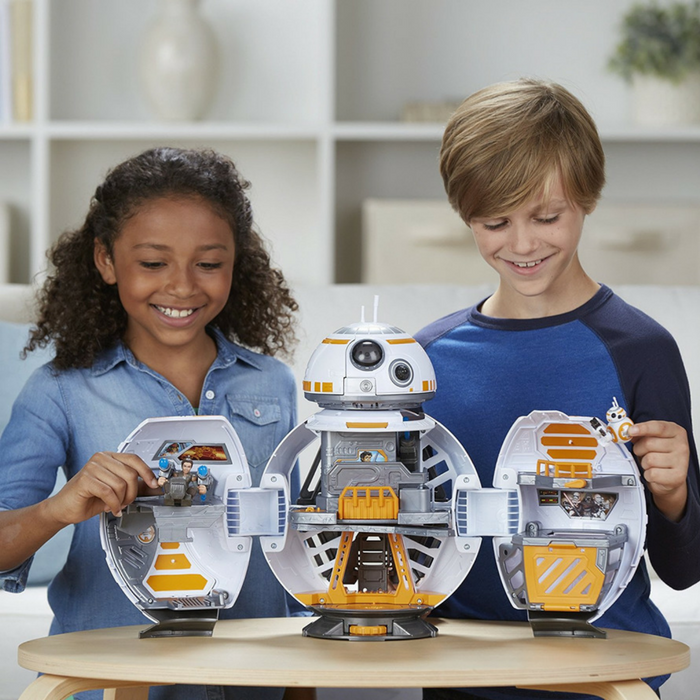 Kids can bring the excitement of a galaxy far, far away into their world with the Playskool Heroes Star Wars Galactic Heroes BB-8 Adventure Base playset. They can pretend to battle in the vastness of space, joining BB-8 and Rey to overcome interstellar enemies! Open the BB-8 droid playset to reveal an adventure base! Extend the telescoping head with the press of a button, exposing a secret command center with sound effects, light up screens, and projectile launching cannons.